In every partnership no partner takes a decision without consultation or reference to the other partner. 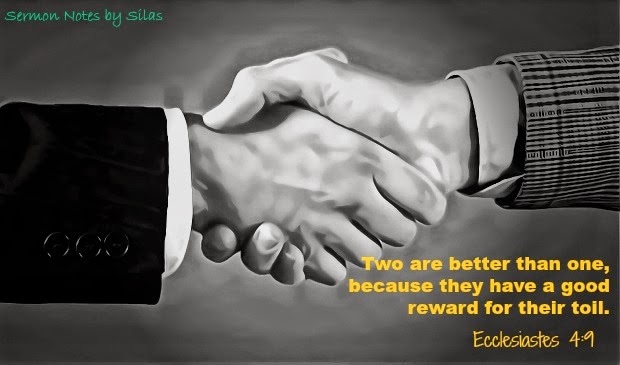 In every partnership, there is an agreed principle for sharing profits and or loss when it occurs. “Will a man rob God? Yet you have robbed Me! But you say, ‘In what way have we robbed You?” In tithes and offerings; You are cursed with a curse, For you have robbed Me, Even this whole nation. Bring all the tithes into the storehouse, That there may be food in My house, And try Me now in this,” Says the LORD of hosts, “If I will not open for you the windows of heaven And pour out for you such blessing That there will not be room enough to receive it. “And I will rebuke the devourer for your sakes, So that he will not destroy the fruit of your ground, Nor shall the vine fail to bear fruit for you in the field,” Says the LORD of hosts; And all nations will call you blessed, For you will be a delightful land,” says the LORD of hosts. Tithing is a form of worship. Remember James 1:17. If God owns me and all that I have, then it is not me giving Him, it is He giving me. Can a Christian Business suffer loss? (b) Be familiar with prevailing laws – Government regulations, market demands, strength of competitors; policies etc. (c) Before you do business with someone else whether a Christian or non-Christian be sure you know him well; more especially if he is not a Christian. Don’t base your choice of business partners on sentiment or your possible immediate gain. A wrong choice will ruin your business.